On a typical Friday night away football game, Searcy School District sends nine buses filled with students and a band truck out on the roadways. Many times, our student athletes and band members do not arrive home until very late. On August 24th, our band buses came upon an unfortunate scene on the trip home from Morrilton. Searcy bus driver Sean Wallace was driving the band vehicle and leading the fleet of six band buses while transportation director Denise Twisdale was bringing up the rear as driver of a student bus. Near El Paso, Wallace used his radio to inform Twisdale a motorcycle accident had occurred, and he was pulling over to call 911. 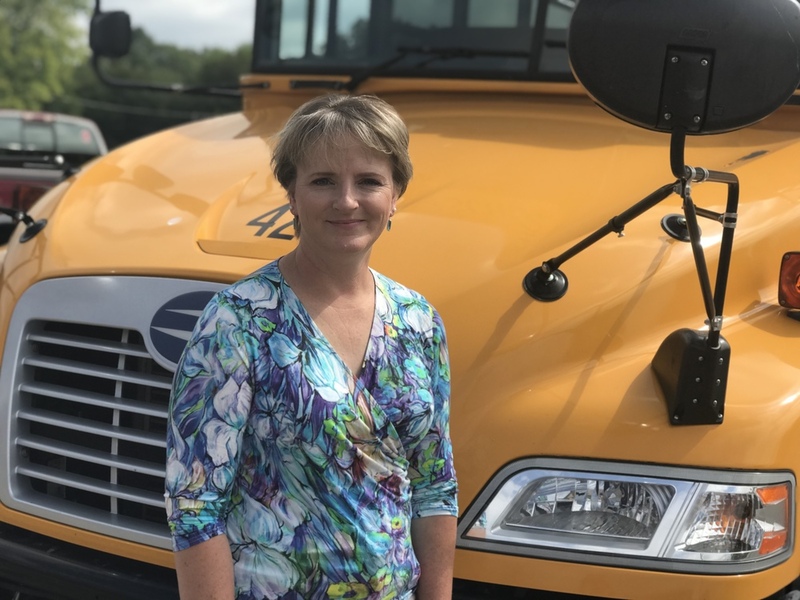 At this moment, our very own transportation director, who has been employed by Searcy School District for twelve years and served as transportation director for three years, knew just what she had to do. We know that Twisdale’s and Wallace’s efforts helped the man at the scene as he thanked them for their assistance. But, in Twisdale’s words, “It was a moral obligation to stop and help.” How fortunate we are at Searcy Public Schools to have employees who go beyond their normal, everyday duties as district employees to ensure the safety and security of all. Twisdale is now a volunteer Emergency Medical Responder for the Gum Springs Volunteer Fire Department when she isn’t managing transportation at Searcy Public Schools. But, when asked what she loves the most about all that she does, she responded “The kids are the best part of the job. It’s all about the kids!” Thank you, Mrs. Twisdale, for your commitment to our students, staff members, and the well-being of all in the community.